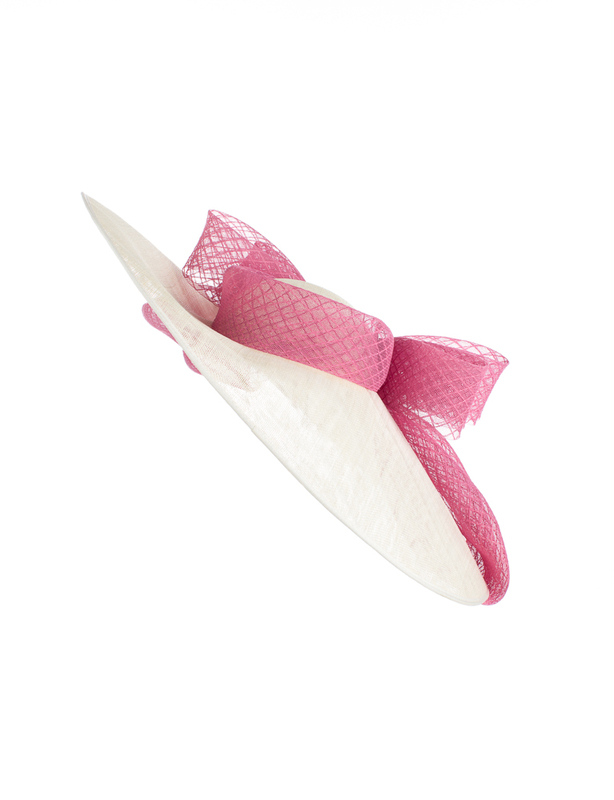 The Warwick dish hat comprises a large dish base with shallow crown trimmed with a wide band and a large bow to the front of diamond patterned sinamay with loops wrapping around the underside of the brim. 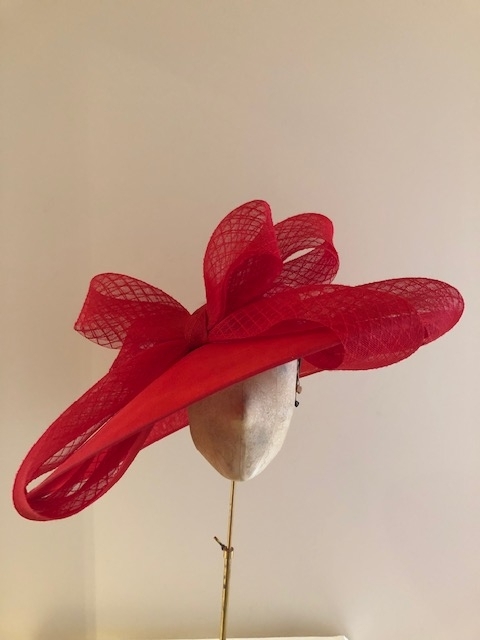 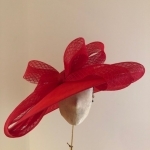 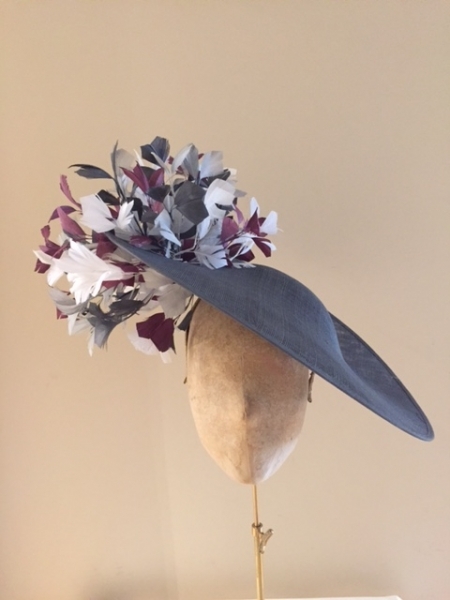 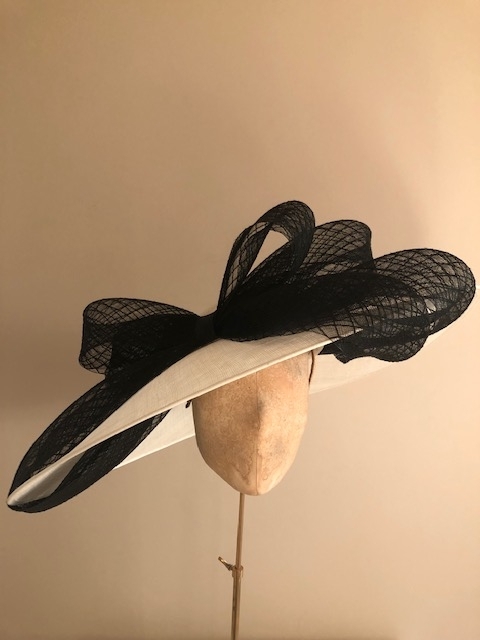 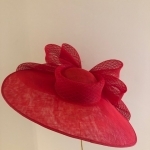 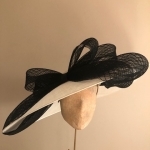 The Warwick dish hat is a stunning statement hat that will look perfect in the Royal Enclosure at Royal Ascot or on a Mother of the Bride or Groom. 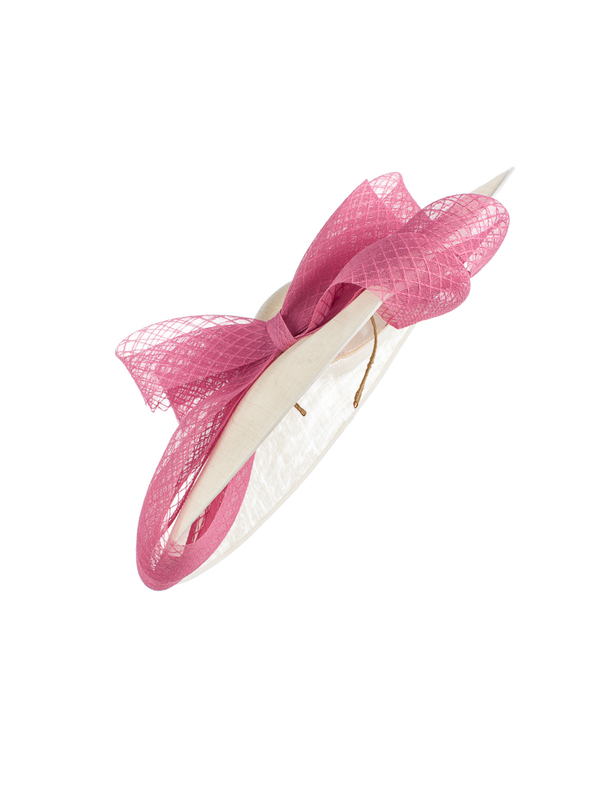 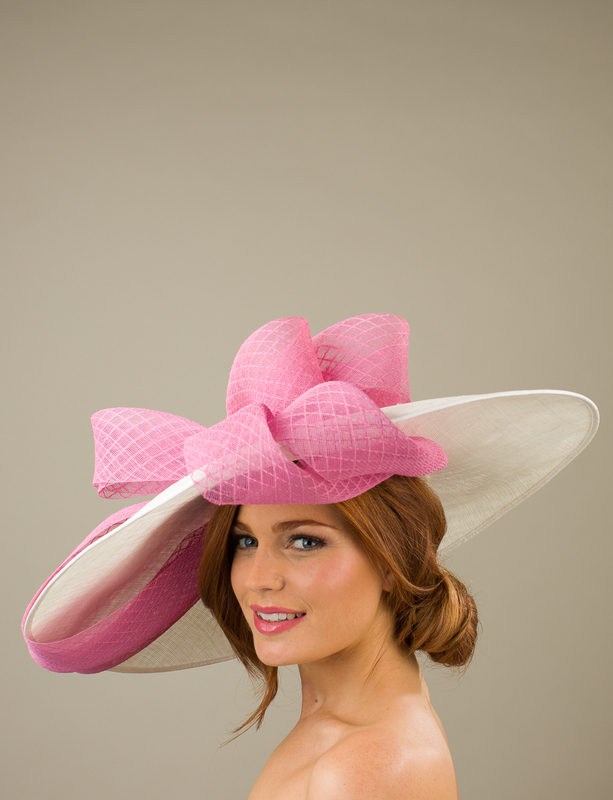 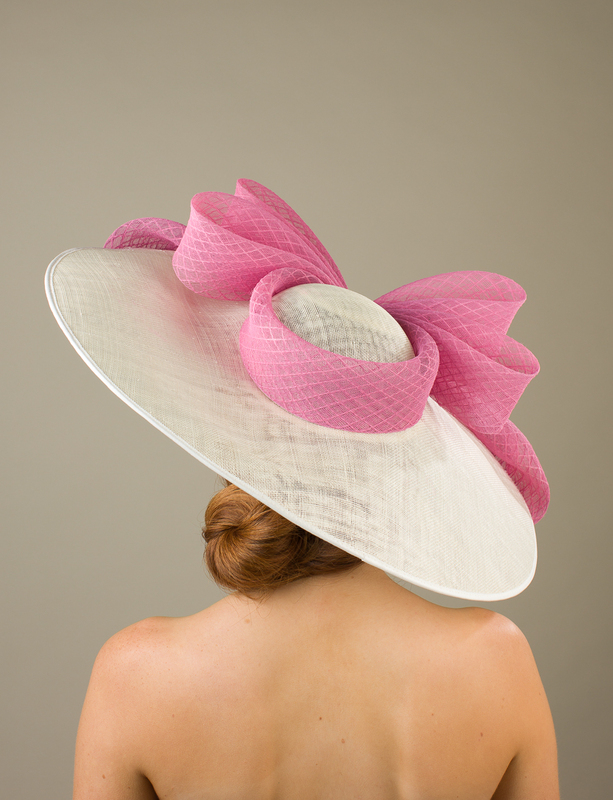 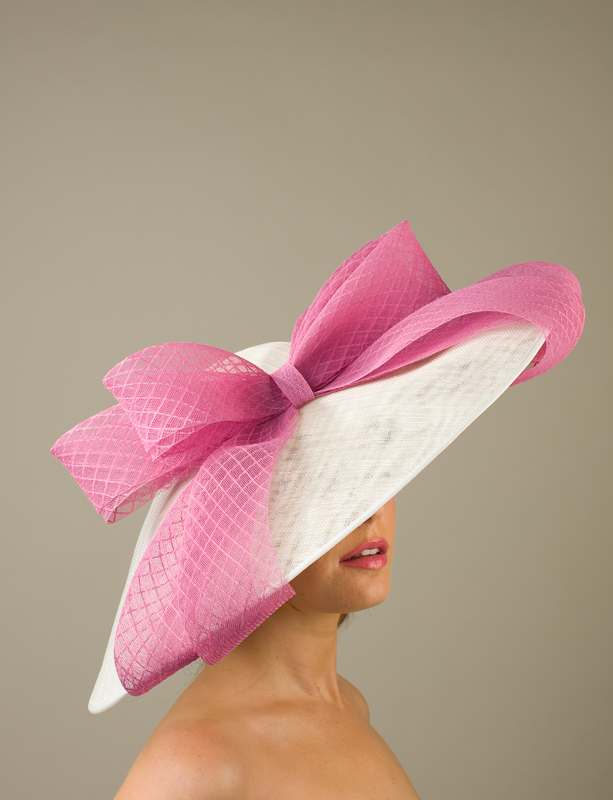 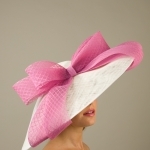 The Warwick comprises a large dish base with shallow crown trimmed with a wide band and a large bow to the front of diamond patterned sinamay with loops wrapping around the underside of the brim. 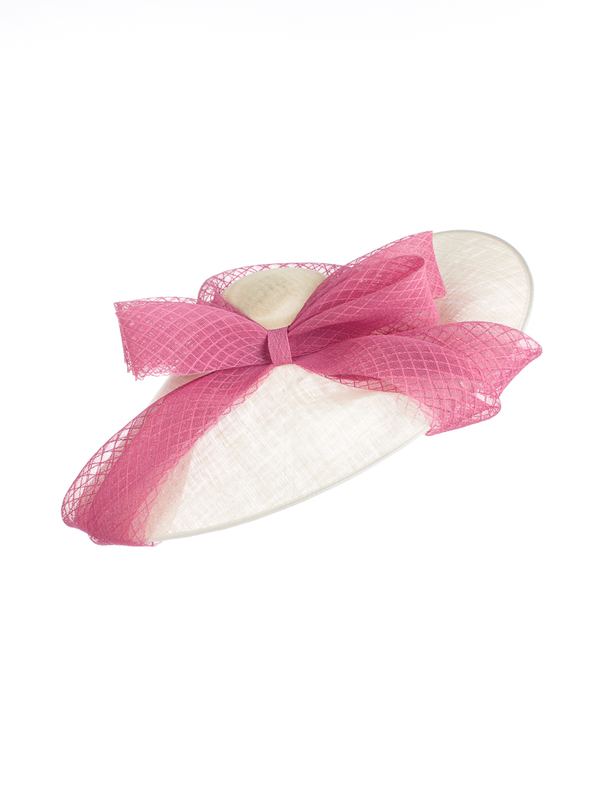 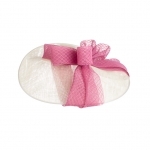 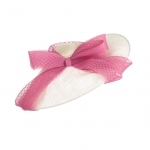 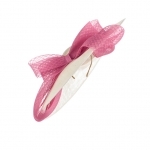 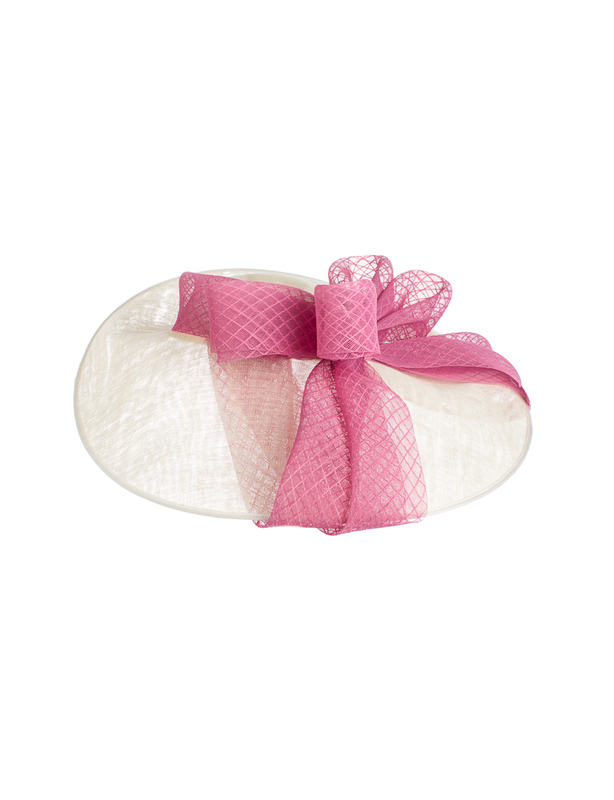 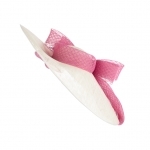 This hat comes on a comfortable double head band which we will ribbon wrap to match your hair colour. 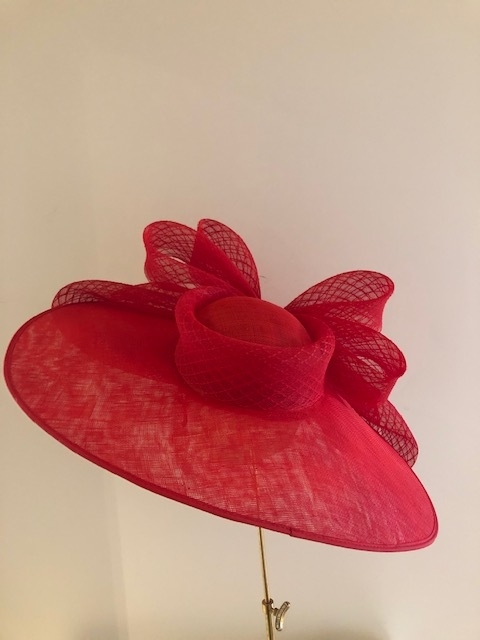 As with all of our hats and head pieces, you can choose any combination of colours for your Warwick Dish Hat from our extensive colour chart.We are more than happy to send out colour swatches in the post so you can make sure that the colours you have chosen match your outfit. 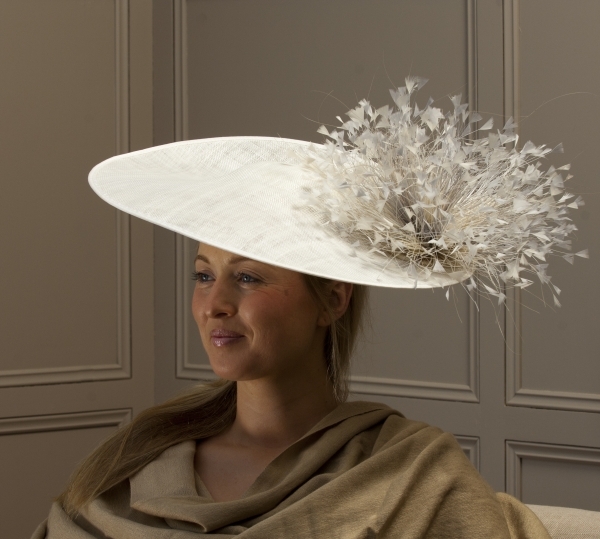 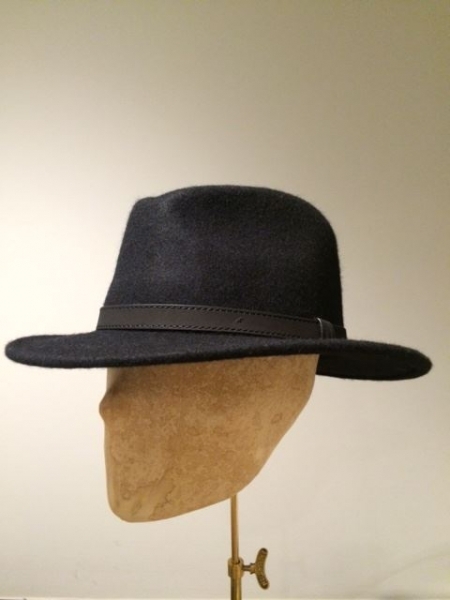 To order swatches please email us on info@hostiehats.co.uk.